A particularly tasty event will feature one of the best culinary couples - cheese and wine. 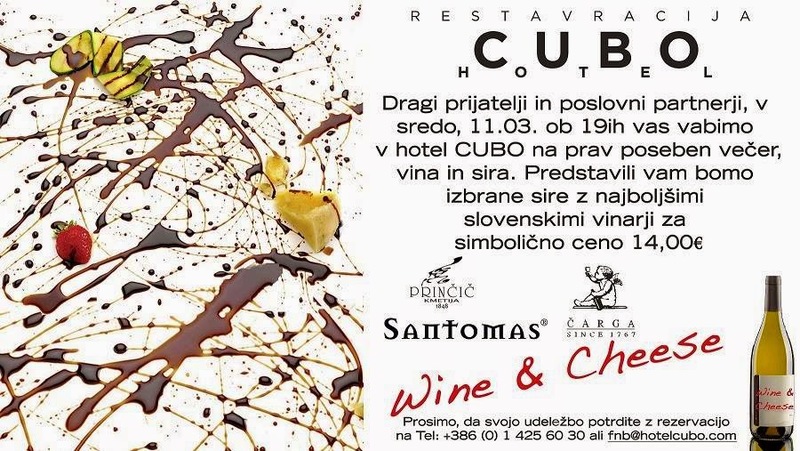 On March 11th at 7. p.m. at Hotel Cubo the best cheeses from Spain, Slovenia and Italy will be presented, along with the best from Slovenian winemakers Prinčič, Santomas and Čarga. Price: 14 euros. Also, wine and cheese quantity is not limited, so go for it! But do make reservations at fnb@hotelcubo.com.